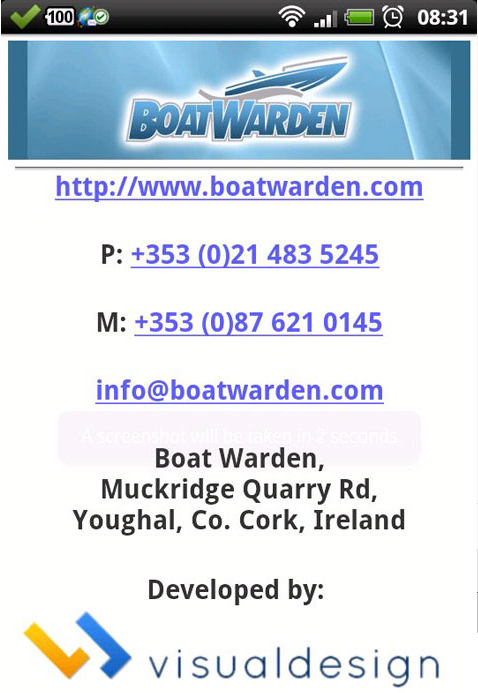 BoatWarden Boat Security Android App developed for Boat Warden™ International Ltd. By using your mobile phone from anywhere in the world you can check on your boat and get some very smart reports sent to you. — BoatWarden is always on monitoring for your boat. 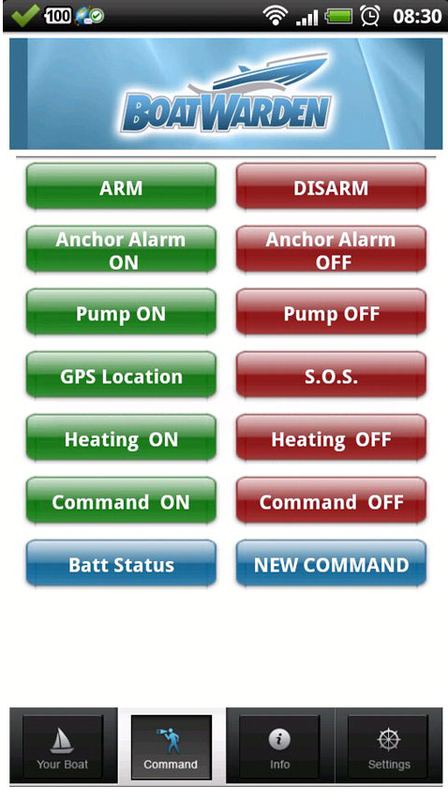 The app is a system controller for use with Boat Warden™, a hardware boat monitoring and security system. This App allows you to control your Boat Warden™ system from wherever you are. Call the Boat Warden number and it will send you an command with the current position; tap on the position and this app will automatically open and display a map with your boat’s position on it. 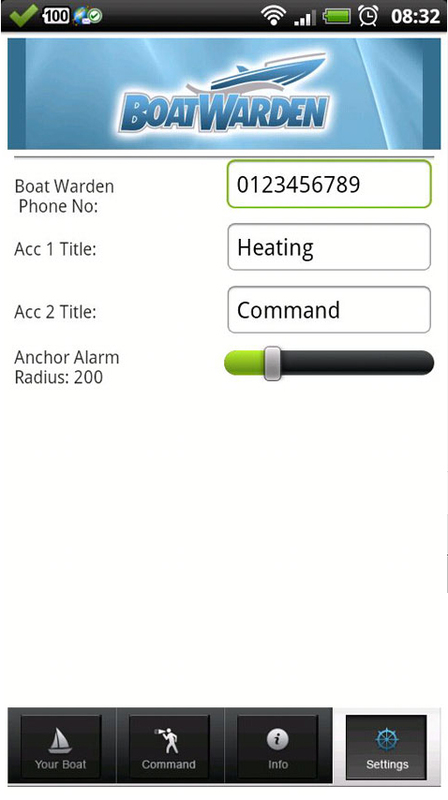 From the command function, you can send any pre-set command to your Boat Warden™ system to set or unset the alarm, start /stop the bilge pump or up to two other accessories (heat, aircon’). You can query the battery status and a message will be sent to you with the voltage. You can also compose your own custom commands and they will be sent and stored for re-use. Additionally, can set a “fence” distance from 75-to-1000 metres; if the boat moves outside this distance it will send you a message with the position; again, tapping on it will open this app and show the position. This app requires Android 2.1+. Full details at: www.boatwarden.com. Company: Boat Warden™ International Ltd.